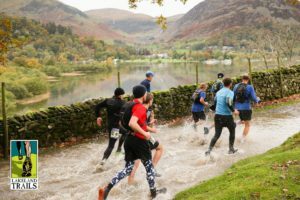 Lakeland Trails are some of the most inspiring trail running and walking events in the UK, all held within the spectacular landscape of the Lake District National Park. 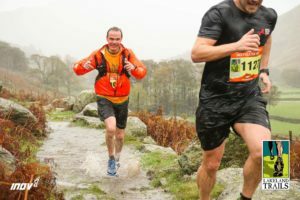 Designed for all ages and abilities, the trail courses range from 5km, 10km and 14km -18km, through to half and full marathon, then up to Ultra marathon distance. Each provide well marked and marshalled journeys along environmentally sustainable bridleways and footpaths that take in some of the most incredible countryside in Britain. Starting and finishing at Jenkins Field on the shores of Ullswater in Glenridding, the new 5km Helvellyn Sport Trail, 10km Helvellyn Trail Run, 15km Helvellyn Trail Race and 15km Helvellyn Trail Challenge follow circuits along well marked and marshalled footpaths and bridleways that take you into the foothills of Helvellyn, with elevated panoramic views of Ullswater, and dramatic vistas of Helvellyn and the surrounding peaks. Underfoot conditions are generally good for those used to off road running, but can be tricky in places. 399 competitors completed the 15k Challenge event, Daniel Thacker of Salford leading the way in a time of 1:08:57 and Josephine Harrison of Camforth as first lady in 1:17:46. Nigel Barnes was sole Strider in 16th position in a time of in 1:17:09.